The above painting is the Grand Prize winner of the recently concluded 32nd DPC-PLDT Visual Arts Competition. The artwork is entitled "Jeeploma" with the description "Jeeploma is consist of two different word, jeep and deploma(sic), which depict the hard working of our jeepney driver in order finish the study of his children." The theme of this years competition is "Pinoy Pride" and what else would bring a Pinoy more pride than to see their children graduate from University. This artwork is quite moving since Jeepney drivers are not known to make a lot of money. 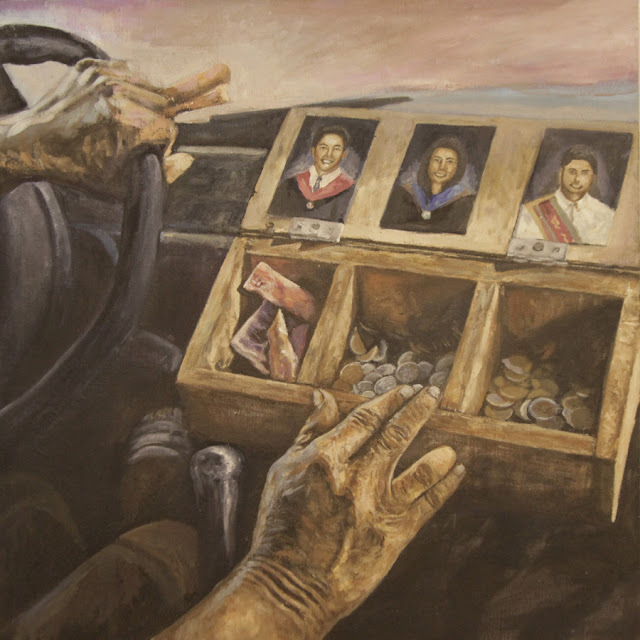 This painting show how, through hard work, a Jeepney driver was able to raise this children and pay for their college education. This work was created by Paul Taladtad, 24, a third-year Fine Arts student at the Adventist University of the Philippines (AUP). His work will be featured on the covers of the 2018-2019 DPC Yellow Pages and PLDT White Pages in Metro Manila. Here is another stand-up act by Le Chazz, AJ and Iya in Vienna. Le Chazz, AJ and Iyah is a popular stand-up comedy trio in the Philippines. Check out their act at a comedy bar. 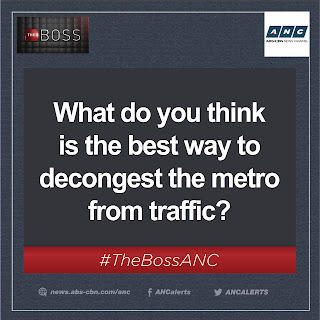 This graphic was created by information designer Anna Vital, read her full article here. Araw-araw natin siyang kinagiliwan sa 'Wowowin,' ngunit naging maugong ang kaniyang pangalan sa social media nang biglang mawala si Super Tekla sa afternoon game show ng GMA. Ano nga ba ang nangyari sa stand-up comedian at host na kilala bilang si Romeo Librada sa tunay na buhay? Two comedians tell dad jokes to each other. The first one to laugh loses. The one with the most points wins.